"This function allows you to enable APIC (Advanced Programmable Interrupt Controller) functionality. APIC is an Intel chip that provides symmetric multiprocessing (SMP) for its pentium systems. The default is Disabled"
Now is it just me, or does that sound a bit strange? I did a bit of digging and found that this option actually provides for faster irq access and in many cases more irq's, but epox chose to use that description for some reason? Anyways, in my guide I listed that you should leave it disabled because of the strange nature of the issue. Any word on wether or not to enable this? Why is this strange description used? site link removed, use www button below sig. That's because that's exactly what the APIC was originally designed to do! When you have more than one processor, which processor should receive and handle an interrupt? In a dual system, the CPUs both have their own Local APICs. The system interrupts then go to the I/O APIC which communicates them across the APIC bus. The Local APICs and I/O APIC are connected together using the three PIC lines (PICD0, PICD1, PICCLK). In addition, each Local APIC has it's own local interrupts (two off) which are better known as INTR and NMI. The Local APICs onboard the CPUs can also send an interrupt to the other CPU to notify it. Without an APIC, there has to be some method of arbitrating which CPU receives the interrupt and acts upon it. Given the original PIC used on a PC has no method for arbitrating, something more is required. Now we're back into a single processor system. Obviously to enable a full APIC environment, the CPU requires it's Local APIC, the motherboard requires an I/O APIC, and the software needs to support APIC! Fortunately, Microsoft have been supporting APIC in the NT line since Windows NT 3.1 (!!!!). 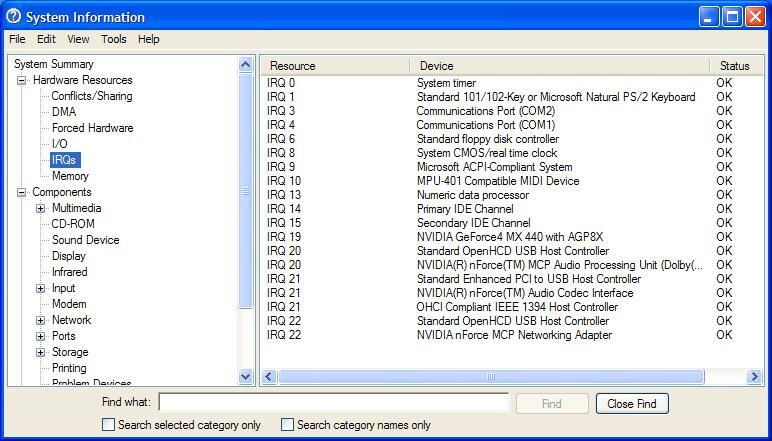 Intel processors have had their Local APIC since the P54c. All that was missing was APIC support on the motherboard! Nice huh? Yes, APIC allows for higher speed interrupt processing, as the Local APIC is part of the CPU. With just a PIC, multiple instructions are required to set up interrupt masking, which then traverses across the northbridge, down to the southbridge! With an APIC, a single instruction can set this, as the Local APIC is onboard the CPU. The I/O APIC can (almost) have as many interrupts as the designer likes. Why disabled by default? The Windows 95,98, ME line does not support APIC by default, and hence can only use the standard ISA bus PIC. I couldn't think of any other reason why this might be the case! I run win xp and have APIC enabled with no IRQ issues. Newer Bios for 8RDA comes with it enabled by default. Also note that some older cards may not behave correctly if you use these higher IRQ's. Once enabled in Bios, requires a reinstall of OS to remove and disable. I wish I had known it was enabled prior to WinXP installation. 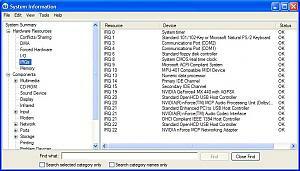 My Avermedia TV/98 card does not like the high IRQ it is placed at, and you can not override IRQ setting in Bios using resources manual settings, like you can if APIC is disabled. Last edited by RobsTV; 17th February, 2003 at 05:11 PM. Have you changed the priority of that card in question? All MODS are done AT YOUR OWN RISK.........plan accordingly.. I have a pool and a pond........ pond would be good for you though. Last edited by muzz; 17th February, 2003 at 07:36 PM. Thanks for the info, I'll update the page. One more question, why are there bios auto/disable settings for both an nvidia lan and 3com lan? Does the 2nd controller refer to the 2nd onboard controller that there is no port for? Damn, now that I re-read that a couple more times, i'm fairly impressed! I couldn't find any info on the net that was as detailed as that!